Emma Sandstrom was born 1990 in a small town in Finland called Kokkola and for the past three years has been living and working in Stockholm as a music and art teacher. Emma started singing and dancing since a very early age in different theaters, musicals and writing her own songs and continued that road in her teenage years following by studying to become a vocal and music teacher. Emma has performed on many stages and with musicians from all over the world. Her favorite styles are Blues, Jazz, Rock, and Pop. In 2015-2016, Emma Sandstrom took part in season 5 of The Voice of Finland and placed in the top 20. One year later, she participated in the Finnish Selection for the Eurovision Song Contest, where she came in third with "Circle of Light". She won many fans from around the world, who encouragted her to take part in the San Marino national selection for ESC 2018, where she won the first fan club wild card. 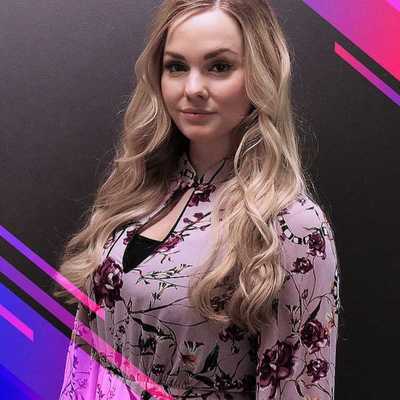 One of Emma's biggest dreams has been to participate in The Eurovision Song Contest ever since she first started watching the competition as a young child and now she's trying her luck for potentially having the honor to represent San Marino in Portugal this May. Emma places particular importance on the message and feel of a song. Lyrics and stories are important for her and she wants to tell a story for you.